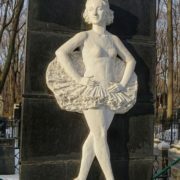 Once, the statue of the “ballerina” adorned the house on Tverskaya Street (former Gorky Street) in Moscow. 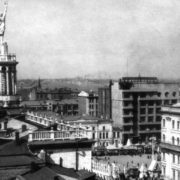 However, the authorities removed the monument 60 years ago, in 1958. According to one version, because the rulers did not like to drive “under the skirt”. 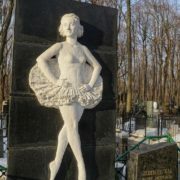 Meanwhile, the local historians state that the statue depicts a ballerina Olga Lepeshinskaya, who allegedly lived in the same house. 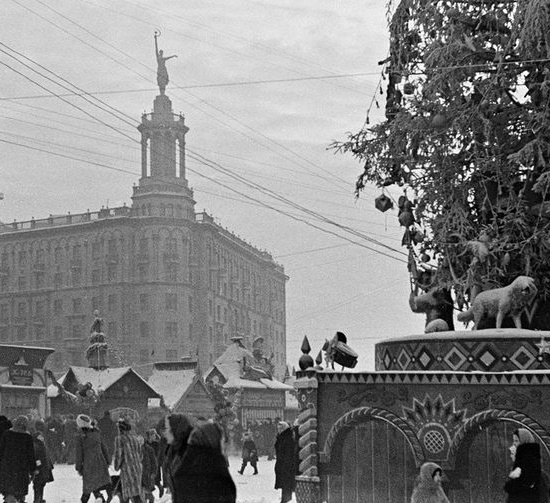 In favor of this version, was the fact that Stalin, who determined the appearance of Gorky Street, often visited the productions with her participation. For passionate temperament, sparkling technique and accuracy of movements, Olga Lepeshinskaya was nicknamed the “Jumping Dragonfly”. Born into a family of engineers, the girl was passionate dancer since childhood. And her parents had no choice but to give her to the ballet school at the Bolshoi Theater. 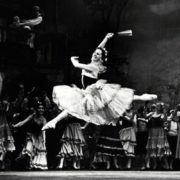 Olga Lepeshinskaya easily coped with both the ballet classics (Swan Lake, Sleeping Beauty) and modern plays (The Red Poppy, The Flame of Paris). During the Great Patriotic War, Lepeshinskaya bravely performed at the front, raising the fighting spirit of the soldiers. 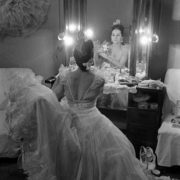 Despite the fact that the ballerina was a favorite of Stalin and had many awards, she was very demanding of herself. 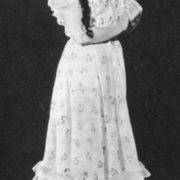 Being already old, Olga Lepeshinskaya said that her choreography was not outstanding, however, “natural technique and fiery temperament” made her inimitable. 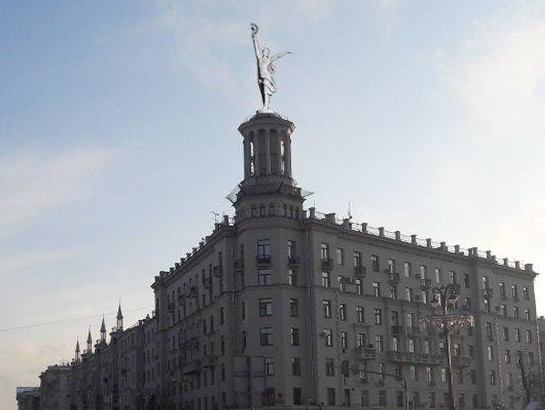 According to press, a group of activists advocated the re-creation of a ballerina sculpture on the roof of a house on 17 Tverskaya Street in Moscow. 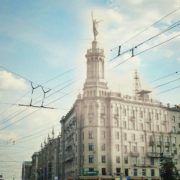 The author of the project of this house erected in 1940 was Arkady Mordvinov. 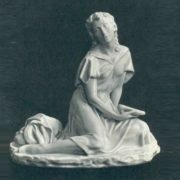 And the author of the sculpture – Gennady Motovilov, who sculpted it from ballerina Olga Lepeshinskaya. Olga Lepeshinskaya, a noblewoman by birth, who debuted in 1933 in the ballet “Vain Precaution” at the Bolshoi Theater, was the favorite ballerina of Stalin. And in the 30’s, the 40’s, and in the 50’s it meant everything. 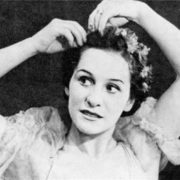 She performed the best parties: however, only those in which she could show the peculiarity of her talent – briskly and gaily flit and laugh, dancing. But she knew how to flutter and laugh, whatever the image she created on stage. In particular, Cinderella, Kitri in Don Quixote, Aurora in Sleeping Beauty, Odette and Odile in Swan Lake. Also, the roles in modern ballets – Tao Hoa in Red mache” and Jeanne in the” Flame of Paris”. “The Dragonfly,” as the Generalissimo called her. There were rumors that Olga was his mistress. There is no confirmation or refutation of these rumors. However, Lepeshinskaya was the winner of four Stalin prizes. She was a very wealthy woman by Soviet standards.